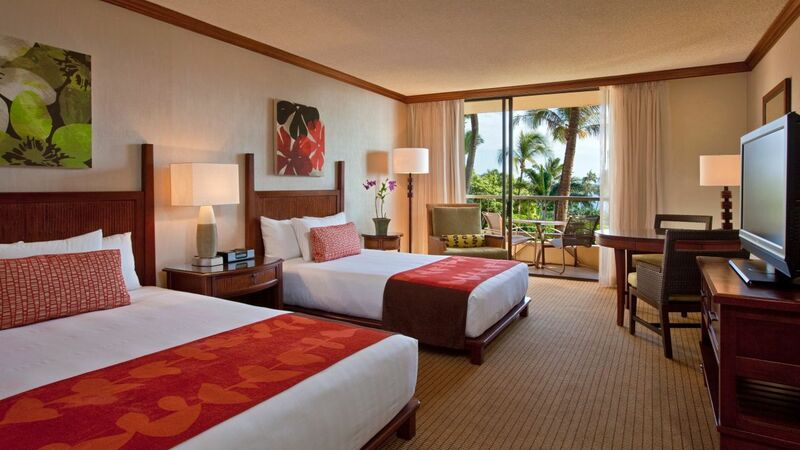 Experience authentic island luxury along the Maui coast at Ka’anapali Beach. Stay in one of 775 oceanfront rooms and 31 upscale suites, each with its own private lanai from which to admire views of the Pacific Ocean, West Maui Mountains, scenic golf courses, or the resort’s lush gardens. Upgrade to a Regency Club room for exclusive lounge access, complete with daily continental breakfast. Relax in this 451-square-foot room with one king bed, a full-size sofa sleeper, impressive panoramic views of the Pacific from your private lanai, and exclusive Regency Club access with daily breakfast and evening hors d'oeuvres. 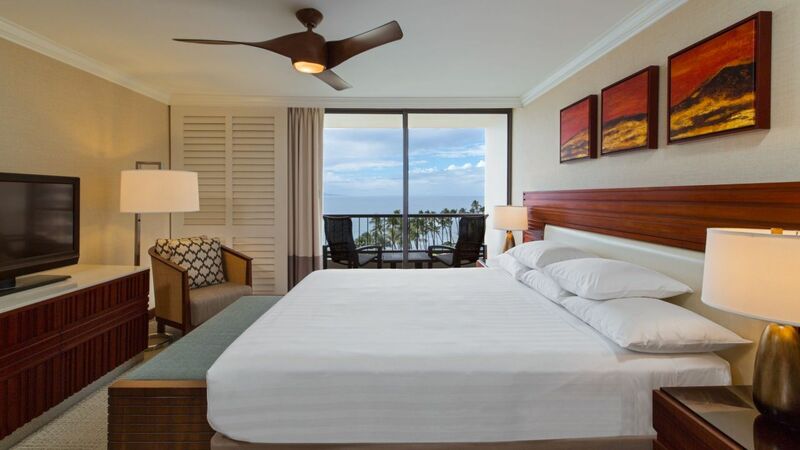 Upgrade your Hawaiian getaway in this oceanfront room featuring 451 square feet, one queen and one double bed, a lanai with uninterrupted views of the Pacific Ocean, and access to the Regency Club, including daily breakfast. 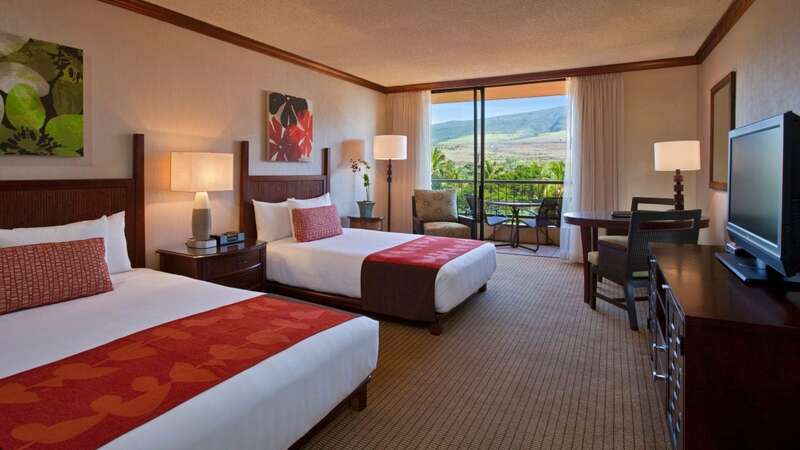 Enjoy an upgraded stay in Maui in this 451-square-foot room with a king bed, full-size sofa sleeper, impressive views of the Pacific from a private lanai, and access to the Regency Club for daily breakfast and all-day snacks. 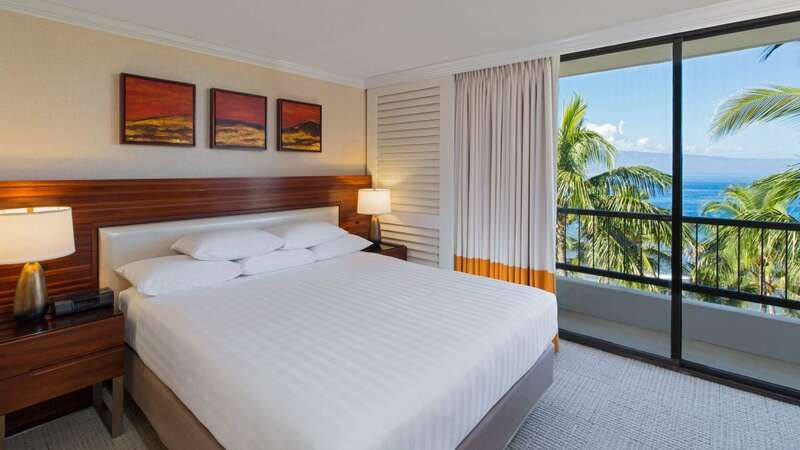 Unwind in this 451 sq ft room featuring one queen bed, one double bed, partial ocean views from your private lanai, and exclusive club access with continental breakfast. Revel in this oceanfront room with 451 square feet, a plush king bed, a full-size sofa sleeper, and a private lanai from which to take in stunning panoramas of the Pacific Ocean and the islands of Lana’I and Moloka’i. Take in scenic island views from this oceanfront room with 451 square foot, one queen and one double bed, contemporary Hawaiian decor, and private lanai boasting panoramas of the Pacific and the islands of Lana’I and Moloka’i. 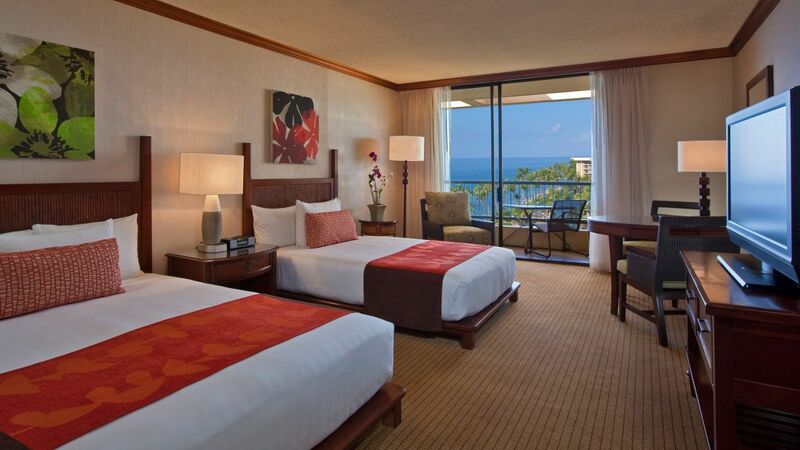 Breathe in the Hawaiian island air from the comfort of this 451-sqaure-foot room with a king bed, full-size sofa sleeper, deluxe bath and shower, and a private lanai overlooking the Pacific Ocean. 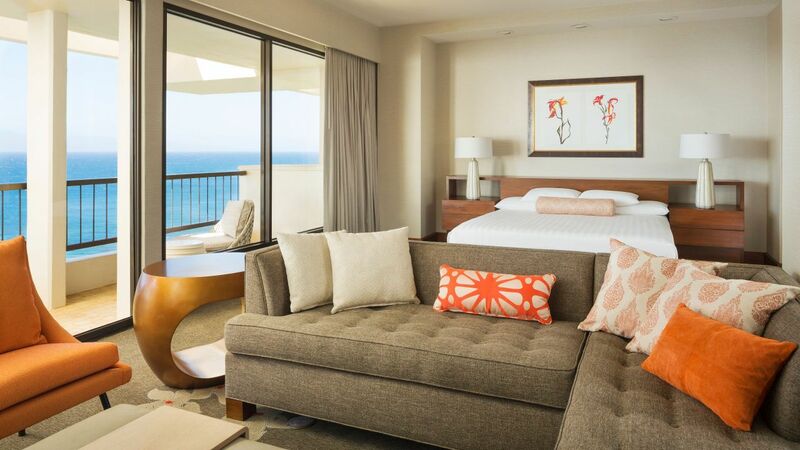 Revel in views of the Pacific Ocean from this 451-square-foot room with one queen and one double bed, contemporary Hawaiian décor, luxurious bath amenities, and a private lanai overlooking the ocean and resort gardens. Unwind in this inviting 451-square-foot room with a plush king bed, full-size sofa sleeper, and a private lanai from which to admire partial views of the Pacific Ocean and scenes of the West Maui Mountains and neighboring golf courses. Enjoy enhanced views from this 451-square-foot room featuring one queen and one double bed, luxury bath amenities, and a furnished private lanai with partial Pacific Ocean views and scenes of the West Maui Mountains. 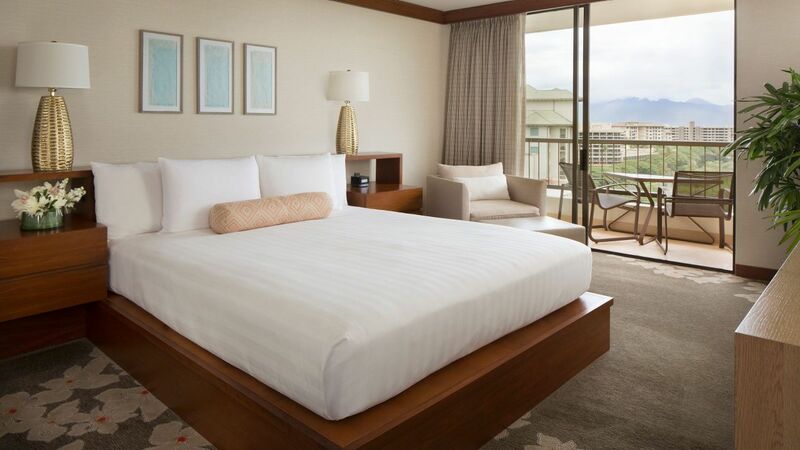 Take in inspiring island views from this 451-square-foot room with a king bed, full-size sofa sleeper, luxury bath amenities, and a furnished private lanai overlooking the majestic West Maui Mountains and Ka’anapali Golf Course. 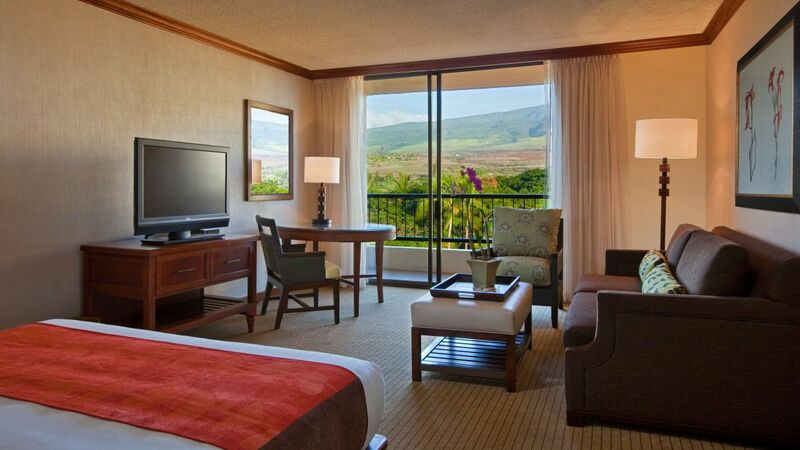 Enhance your stay in Maui in this 451-square-foot room with a queen bed and one double bed, plus a furnished private lanai with stunning views of the West Maui Mountains and Ka’anapali Golf Course. 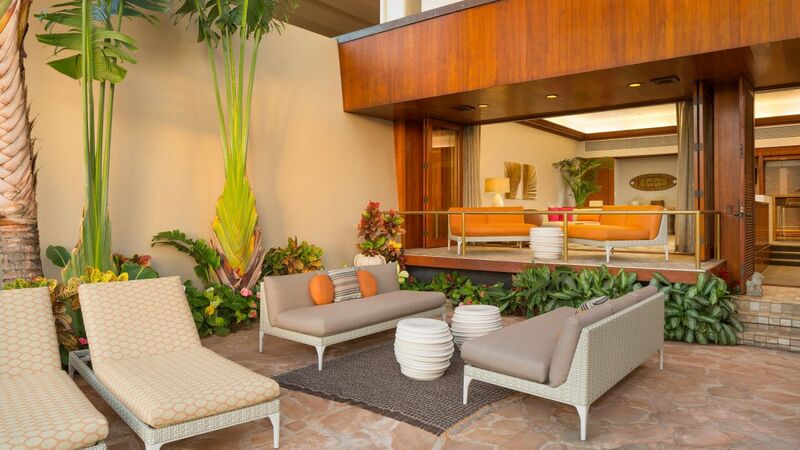 Retreat to this contemporary room featuring 451 square feet, a king bed with an additional full-size sofa sleeper, deluxe bath with shower/tub combo, and a private lanai overlooking the resort’s gardens and lush landscaping. 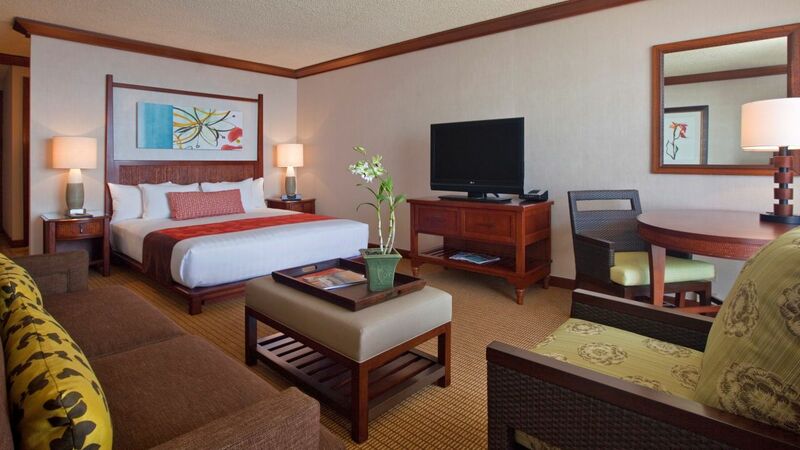 Unwind in this spacious 451-square-foot room with a queen bed and one double bed, contemporary Hawaiian decor, a luxurious bath with walk-in shower, and a private lanai overlooking the resort’s lush gardens. 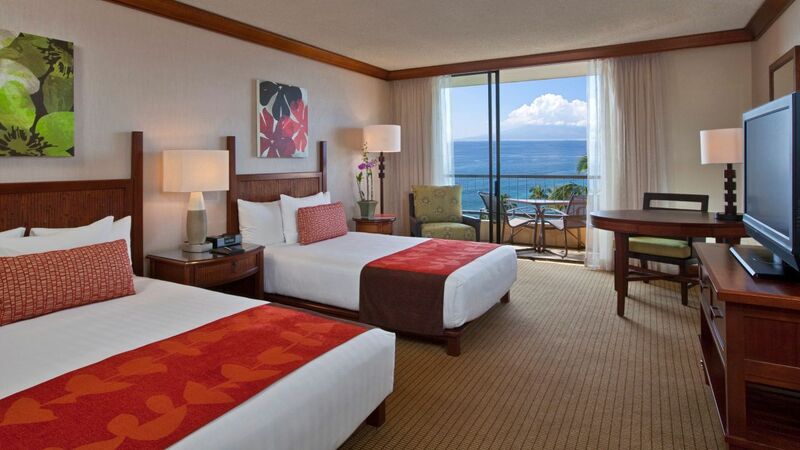 Take in the views from this fully accessible, 451-square-foot room featuring one queen bed, one double bed, an ADA-compliant bath with tub, and private lanai with partial views of the Pacific Ocean and West Maui Mountains. 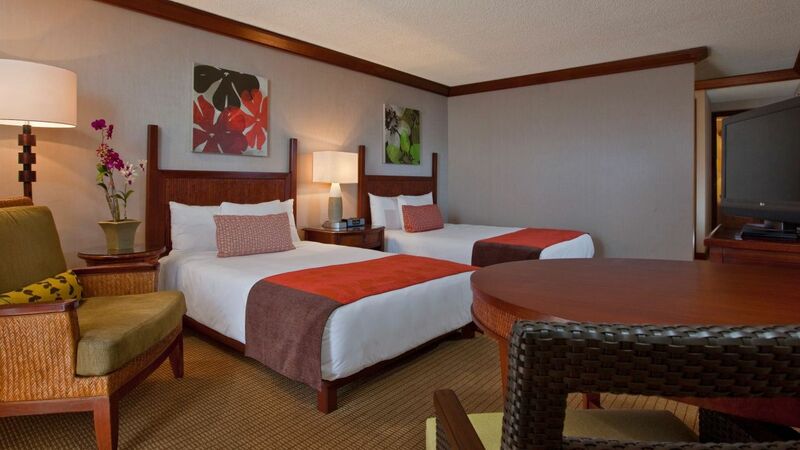 Spread out in this inviting and fully accessible room featuring 451 square feet, a queen bed and one double bed, a deluxe bath with grab bars, and a private lanai overlooking the vibrant resort grounds. Take comfort in this fully accessible room featuring 451 square feet, a comfortable lounge and seating area, a deluxe bath with roll-in shower, and a private lanai from which to enjoy island views. Relax in this fully accessible 451-square-foot room with a queen bed and one double bed, a ADA-compliant bath with roll-in shower, and a private lanai with impressive island views. 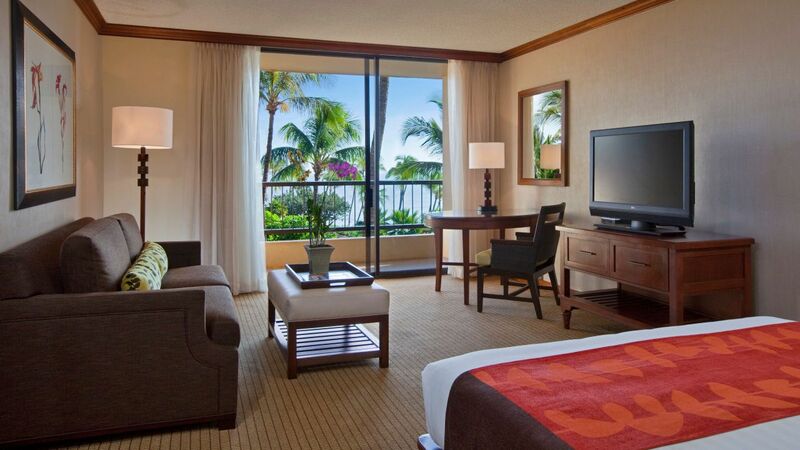 Spread out in this elegant spacious suite in the Lahaina Tower. Features a master king bedroom, separate living room with a full-size sofa sleeper, wet bar, dining area, an extra half-bath, and multiple lanais offering magnificent panoramic Pacific Ocean views. 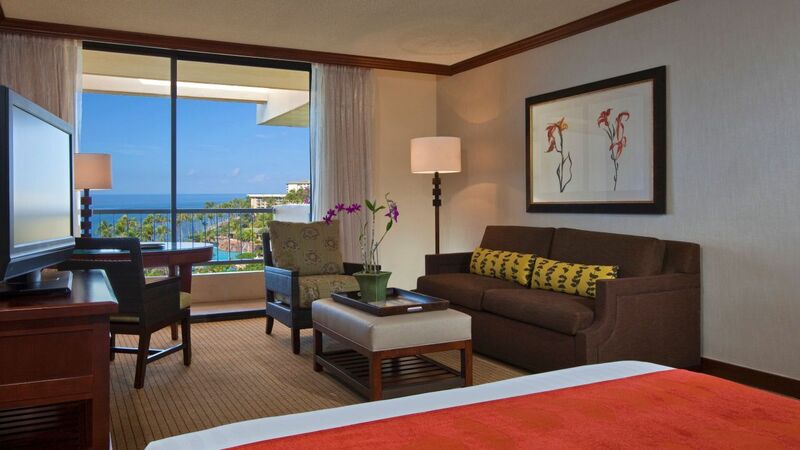 Immerse yourself in island luxury in this 554-square-foot suite in the Napili Tower featuring one king bedroom, an inviting sitting area with sofa pull-out, and two lanais offering impressive panoramas of the Pacific Ocean. 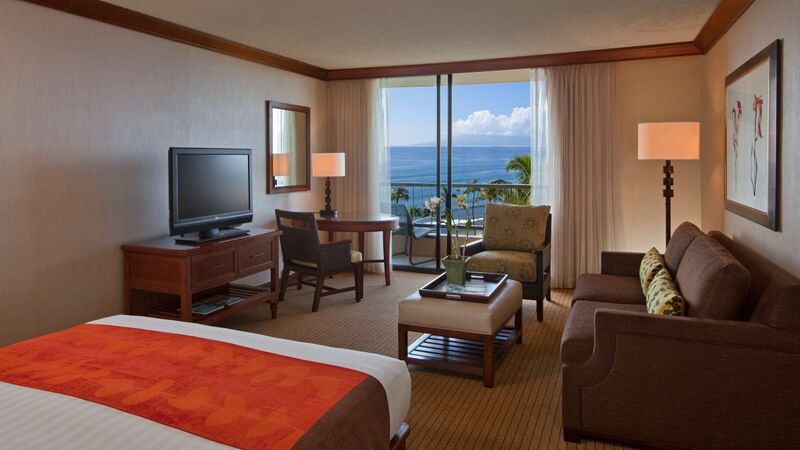 Stay comfortable in a Lahaina Tower suite, boasting a plush master king bedroom, multiple private lanais with impressive and uninterrupted Pacific Ocean views, and an inviting sitting area with pull-out sofa. This is a standard suite. See World of Hyatt program terms for upgrade eligibility. Revel in the pinnacle of island luxury in this lavish suite of 2,307 square feet with a master king bedroom, a dining room with wet bar, an inviting den, and seven lanais boasting panoramic views of the Pacific Ocean. Luxuriate in this Atrium Tower suite filling 1,386 square feet of space including a king bedroom with a soaking tub bath, living and dining areas that seats 8 with a walk-in shower bath and wet bar, and three lanais boasting island views. This secluded, 2500-square-foot suite has three bedrooms (including one master suite), each with a bathroom and lanai. It includes a kitchenette, ten-person dining area, den, and office area.